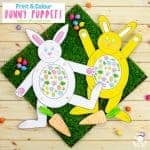 These cute Carrot Easter Baskets only take a few minutes to make and we’ve provided a free printable cut out to make it really easy. 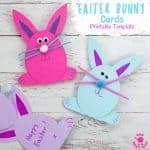 We think they’re perfect for taking on an Easter Egg hunt to store all your little finds in, or to fill and give as an Easter gift. Yummy! 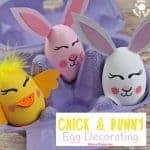 Chocolate eggs to put inside. 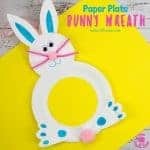 1 – Print the Carrot Easter Basket Sheet available at the bottom of this post. Then and cut out all the orange and green shapes. 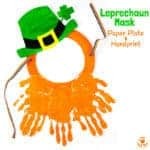 2 – Follow along the line to cut the orange semicircle and the green leaf tops in half. 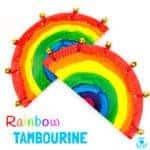 3 – Next roll each orange quarter circle into a cone shape and tape or glue it securely in place. We used UHU glue which we love because it dries really quickly. 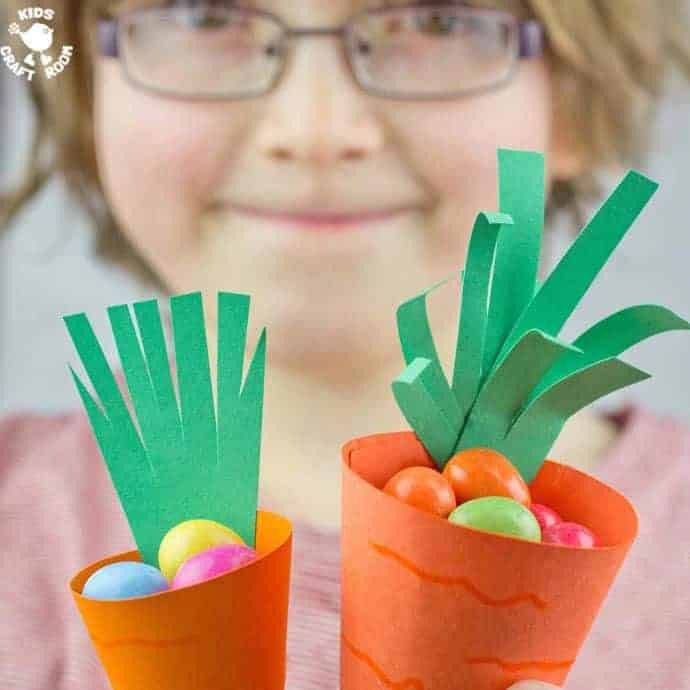 4 – To finish your carrot basket, turn the carrot cone so that the seam is at the back then glue the base of your green carrot top into the inside of the carrot cone also at the back. 5 – Finally fill your carrot Easter basket with lots of delicious chocolate mini eggs. Yum! 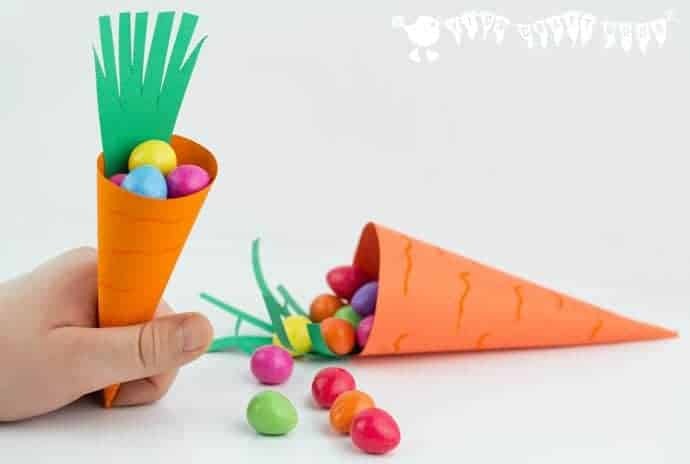 If you prefer a carrying handle for your carrot simply trim a small strip off the quarter circle before rolling it into a cone. After the carrot has been made you could tape or glue it into place. 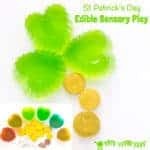 If you have some green card you could experiment with different carrot leaf shapes. See our photographs for some ideas. 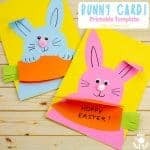 If you have some orange card you could easily make different sized Carrot Easter Baskets. Just remember to start with a quarter circle. 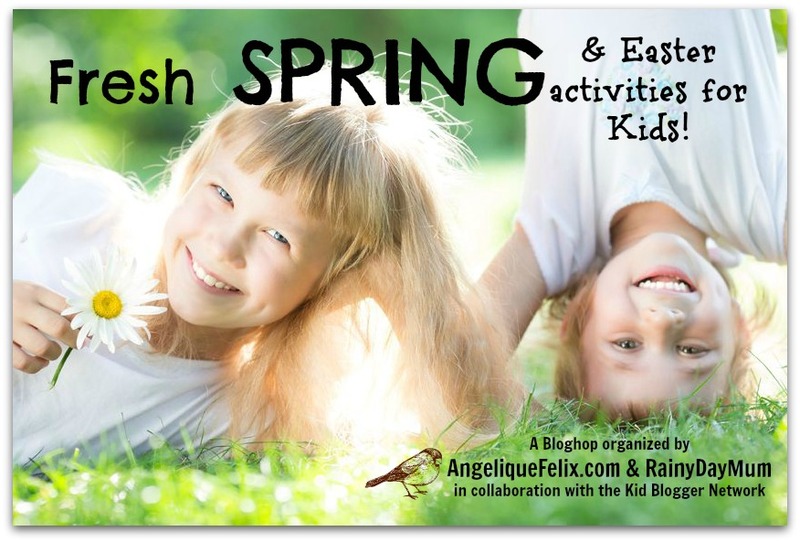 This post is part of a Spring and Easter Blog Hop from Kids Blogger Network. 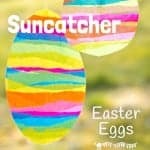 Click on the links below to explore great Spring and Easter posts from other bloggers taking part. 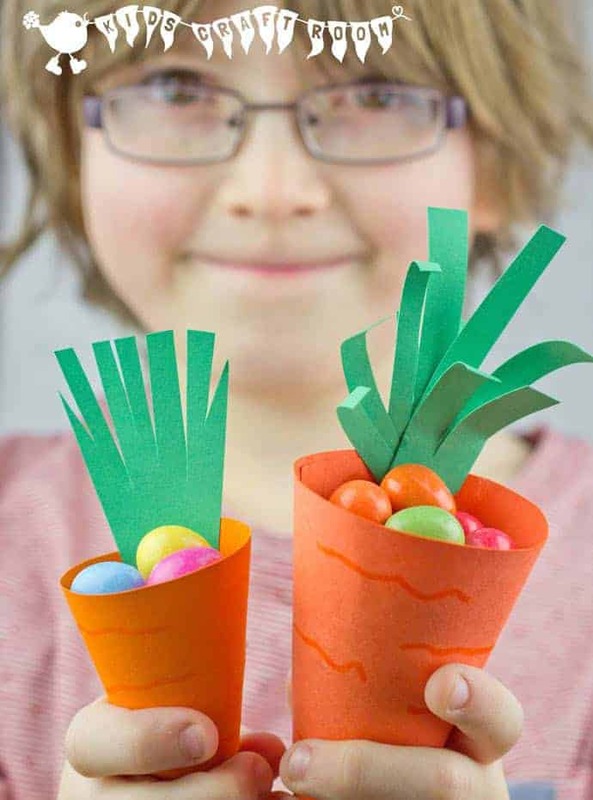 We hope you enjoyed this easy Carrot Easter Basket craft? 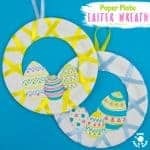 Come and chat with us on Facebook, Pinterest , Instagram or YouTube or subscribe to our weekly craft newsletter. 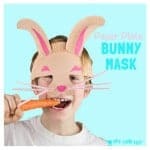 Print the Carrot Easter Basket Sheet onto white cardstock. Or trace around it onto coloured cardstock. Then and cut out all the orange and green shapes. Follow along the line to cut the orange semicircle and the green leaf tops in half. Next roll each orange quarter circle into a cone shape and tape or glue it securely in place. We used UHU glue which we love because it dries really quickly. 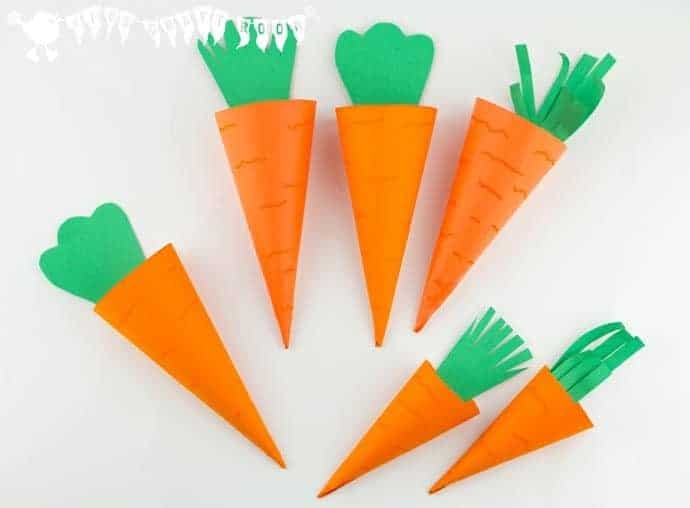 To finish your carrot basket, turn the carrot cone so that the seam is at the back then glue the base of your green carrot top into the inside of the carrot cone also at the back. 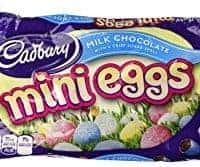 Finally fill your carrot Easter basket with lots of chocolate mini eggs. Yum! These are so cool! A little worried about the use of ink though. I might try to locate some orange paper! Thank you so much for all the great ideas! 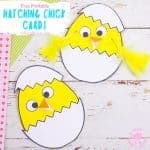 What a cute idea saw it on Pinterest, will really enjoy making this with my son. And good luck with the awards! Wow, so many fun ideas on your blog!! I am so happy you found me over at Sun Scholars. 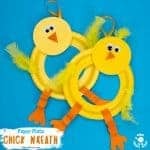 Thanks so much for sharing this idea at For the Kids Fridays! 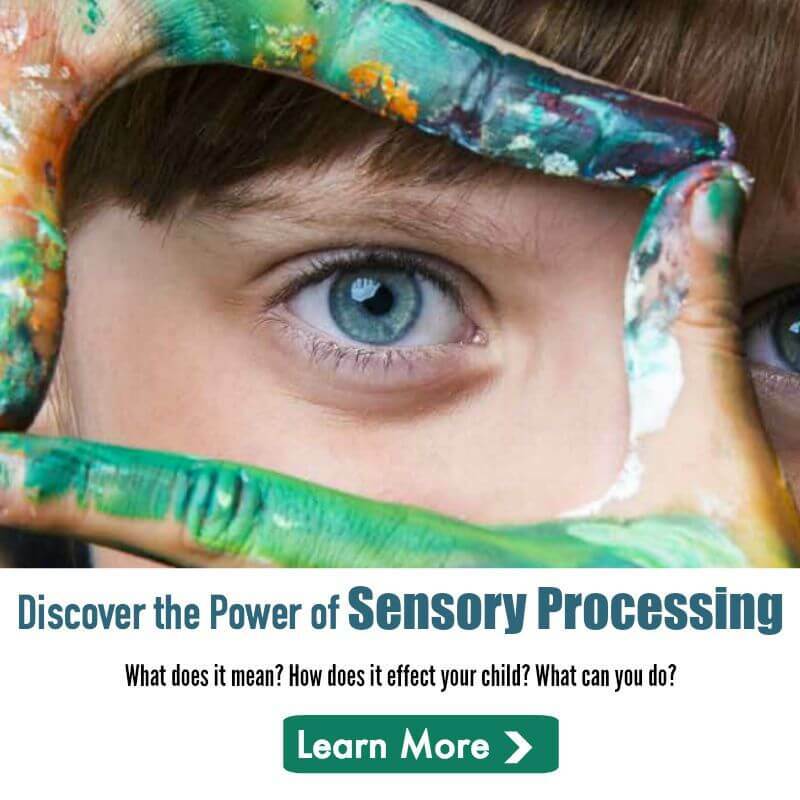 I am sharing this over on Facebook today! Fantastic, thankyou for the Facebook share Rachel and your lovely comments. They are really cute. We will definitely make some of those. Thanks for sharing. Some of our younger members are finding fertile ground with libertarian clubs in a number of universities.I just got an email from Eric Dondero who is putting this up on Libertarian Republican tomorrow. 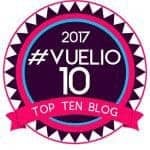 Your blog is just amazing! I can’t believe you only started it like 5 months ago!